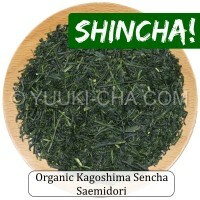 Organic Kagoshima Sencha Saemidori is a deep steamed organic fukamushi sencha comprised of the preci..
A fascinating limited organic sencha from Yakushima Island (a Japanese Island located south of Kyush..
Yuuki-Cha is the home of an ever growing range of carefully selected, high quality organic green tea, matcha, oolong tea, and black tea, all of which are directly and freshly dispatched from Japan on a daily basis to tea lovers all around the world, and all sourced from authentic certified organic tea gardens. 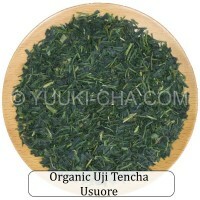 Our desire to purvey only organic teas of genuine quality is what differentiates us from others. 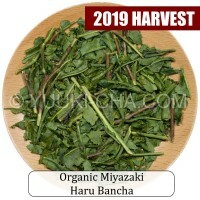 We offer only organic teas that are sincere with your taste buds, grown in organic tea gardens committed to high standards, cultivated genuinely free from the use of agricultural chemicals, honestly safe and healthy, greatly beneficial to the environment, and quite frankly much better for you.